Some people say that screensavers are not useful anymore as modern devices don’t need them, and they are right. But we say that we like screensavers, we want to use them just because they are cool! 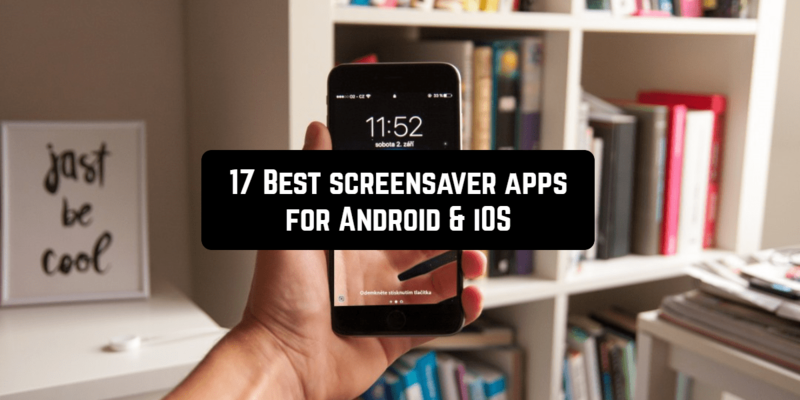 Screensaver apps are perfect for those who want to personalize their devices. 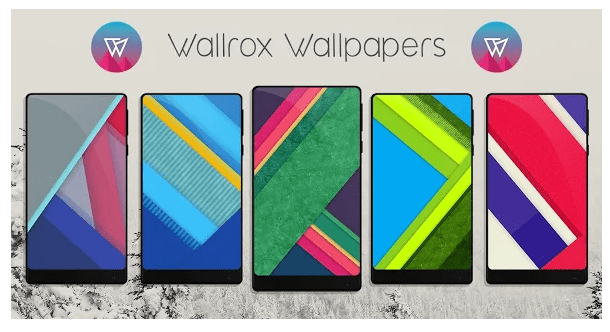 You can find a large variety of live wallpapers, thousands of images and animations you can use as a screensaver, as well as some useful screensaver widgets for your smartphone or tablet. There are so many ways for your personalization! 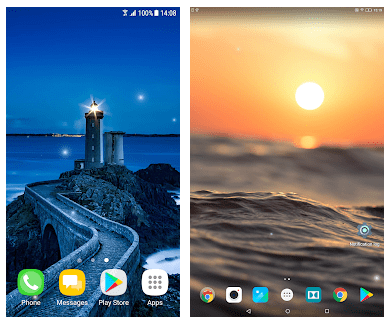 We have chosen the best screensaver apps for Android and iOS and found out their pros and cons, so you can check and find your best one. 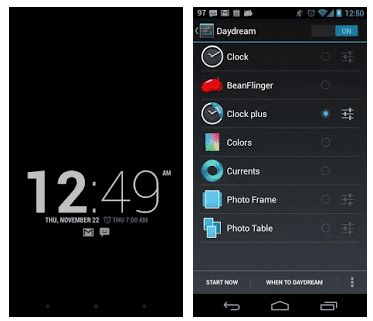 A very simple screensaver application which turns your iPhone or iPad into a night clock. It provides abilities to change the brightness of the screen in order not to interrupt your sleep. The app is very convenient if you don’t have a bedside clock. It’s completely free, doesn’t contain any ads or in-app purchases. In my opinion, it lacks an alarm function. Verdict: It’s a perfect clock-replacing screensaver mode if you don’t expect any other functions. This application is not exactly a screensaver app, it’s a kind of a library of thousands of HD pictures you can use as a wallpaper or as a screensaver. It is probably the best free wallpaper search system. It definitely simplifies the process of finding a necessary picture: all the wallpapers are categorized. All the pictures are static. Verdict: You can find a perfect static screensaver image using this app. Another good iOS app for personalization. The app provides an opportunity to choose and change pictures and use them as wallpaper or lock image. So, with this application, you can create a perfect screensaver yourself. Via this app, you can share your pictures with nearby computers using Wi-Fi connection. It’s more like a picture editor, but the functions are limited. Verdict: the app is good for those who want to create a screensaver image themselves. You should try it because it’s fun. This is the app for those who miss the old-times Linux screensavers. The author recreated the images in details, so you will have those nostalgic feelings. It can’t be used as a real screensaver, it’s more like a game. 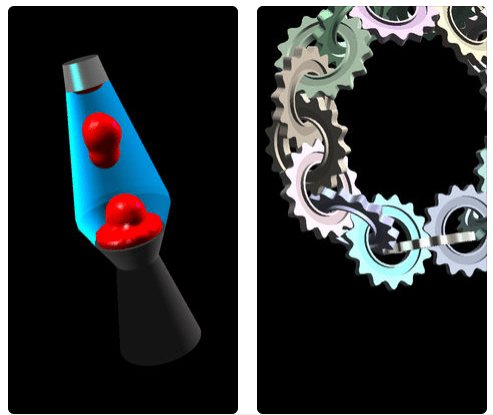 Verdict: Perfect for those who remember what the old-school screensavers can be like. This is a version of the popular mac app for iPhones and iPads. 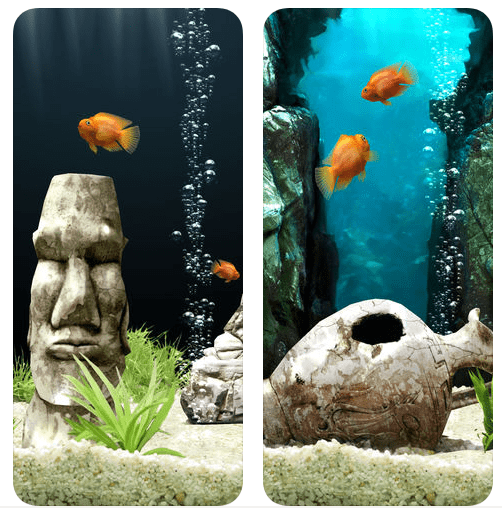 You can turn your device’s screen into a beautiful aquarium with wonderful sea creatures. 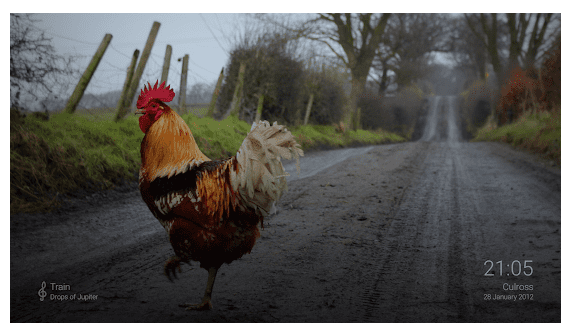 The app provides 4 long videos running in full screen, which is quite calming and beautiful. The app has a sleep timer option. Verdict: Beautiful screensaver app you will find relaxing. 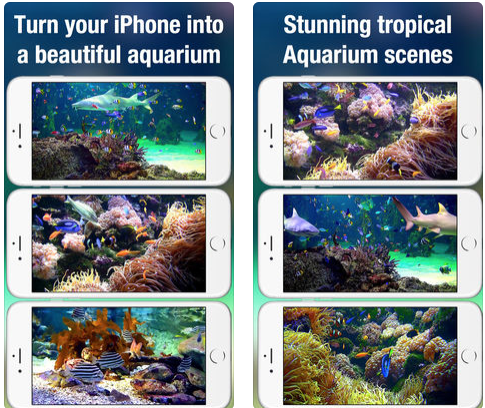 Another aquarium app you can get for your iPhone or iPad. 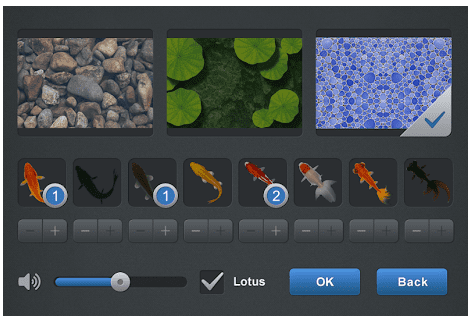 It is more like a game: you can not only watch the screensaver mode but also interact with your fish. Contains ads, which can be removed using in-app purchases. Verdict: A nice game you should try, even if ads can be irritating. This app is also a library for thousands of wallpaper images. You can find the picture you like easily as they are divided into categories. So you can choose your favorite screensaver using this wallpaper search engine. No ads, free of charge. Doesn’t provide any screensaver mode and doesn’t hide the interface. Verdict: Perfect wallpaper app, can be good if you want a screensaver, but it depends on your requests. 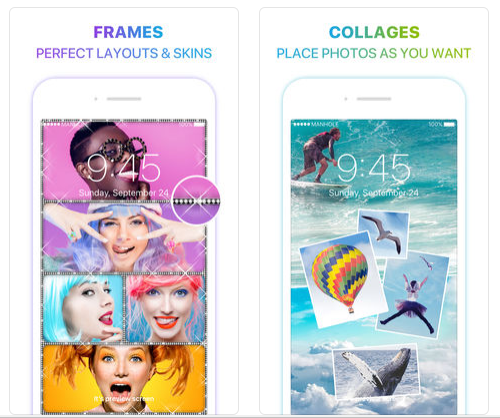 If you are looking for wallpaper apps, check our article here: 15 Free Wallpaper Apps for iPhone & iPad. A great screensaver app for your Android device. It automatically turns on when your smartphone or tablet is charged. The screen shows all the information needed, from clocks to battery level. You can choose any background you want. An easy and beautiful interface. Many functions are not free. Verdict: A very good screensaver app, not only beautiful but also useful. Another relaxing fish app. Research shows that most people find sea creatures and sounds calming. This app is very realistic, it turns your device into an environment for the fish you can choose yourself. 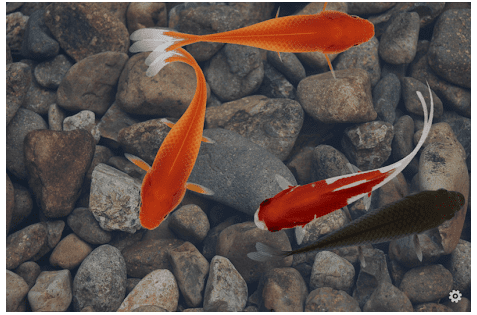 The app provides 3 types of environment and 8 kinds of fish. It can’t be used as a real screensaver, works like any other app. Verdict: Very beautiful application, can be a wonderful screensaver if you have imagination. If you like fishing, check 20 Best fishing apps for Android & iPhone. This is a Wallpaper app where you can find many pictures and use them both for your main screen and lock screen. 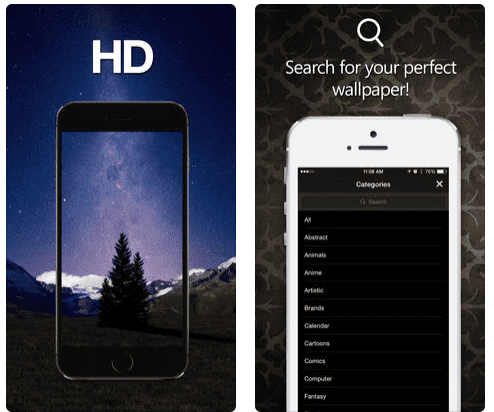 It works as a search engine for wallpapers. All images are uploaded to the cloud and updated regularly. Compatible with any Android device. Verdict: good for finding pictures. 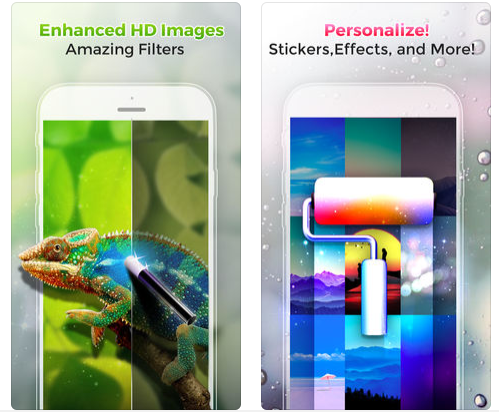 This app provides animated wallpaper images giving an effect of a real screensaver. You can choose any sea landscape animation you want, the image is quite realistic. Good both for smartphones and tablets. As with any animated wallpaper, bad for your battery. Verdict: If you love the sea, you will love this app. Do you want a small piece of the Earth in your device? This application is for you! 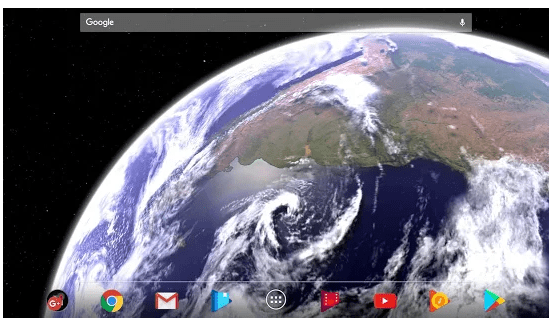 It sets a realistic 3D motion-sensitive picture of our planet as your wallpaper. This is one of the best screensavers you can find! It is space thematics, come on. As many apps, lacks full-screen option. Verdict: If you love the space, try it and you will never regret it! Especially good for tablets. 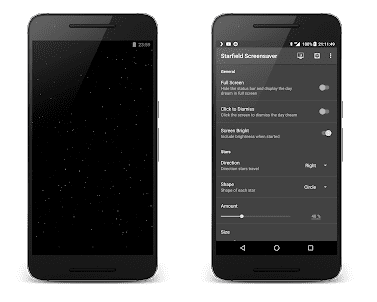 This screensaver app is very simple: just a bunch of stars in your smartphone. Very beautiful, realistic and easy to customize app having a beautiful space theme. All in all, only one picture available. Verdict: a small and not popular but very nice app. This app allows you to set your photo gallery as a background for your screen saver. You can put them in order and set time between them, so it can be a good opportunity for personalization. You can put some information you need on the screen. You can use this app as a daydream default. Use your gallery and search pictures online. You can sync it with your Android TV. Verdict: Very good screensaver app, quite a default one, but it is not very popular among users. Another 3D realistic space-themed live wallpaper and screensaver. The app provides the mind-blowing 3D effect. The app provides a really high-resolution animation. You can set it both as your main screen and lock screen and screensaver. Can’t be set as a daydream-mode. A perfect app for those who want to use a clock as a screensaver and don’t want anything additional. The application perfectly works as Android daydream. 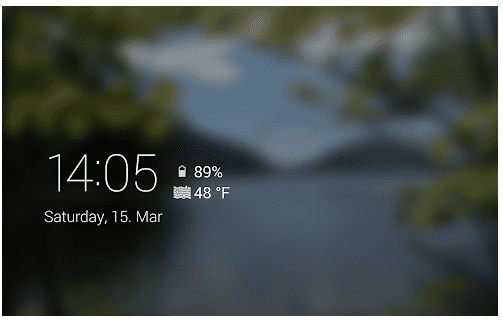 For Android 4,2+ you can choose, what information to show on your DayDream screen. Another wallpaper library, containing live wallpapers as well, You can find one of the thousands of HD pictures to customize your device. With these apps, you can turn your Android or iOS device into anything you want. 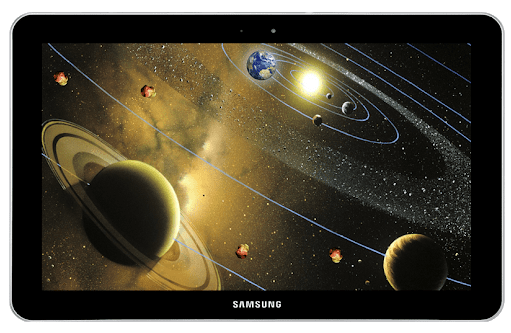 Use screensavers and see what you want to see all the time!